I really salute the A-Vo-Id Network! They are sucking us from almost last year. They begins this movement by increasing call rates to 1.2p/sec,1.5p/sec and 1.6p/sec, some operators are charging 2p/sec for default callrates. 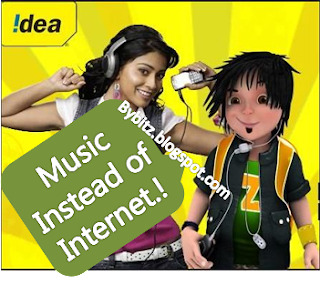 Thereafter they increases 2G GPRS Packs and decreases 3G Internet Packs Pricing. Everyone is saying that these is a new strategy of telecom operators to promote 3G service. In such situation, customers from big and metro cities can choose other network such as Uninor or Aircel. But if customers are from dry area, what they can choose? Nothing.. They are going to be sucked by telecom operators! Recently Idea Cellular decreases the volume to every 2G GPRS packs almost by 40% in there most popular plans. They have also introduced new 2G Packs. New and Latest 2G GPRS Packs for Maharashtra and Goa Circle is as follows..
New and Latest 2G GPRS Packs for Karnataka Circle is as follows..
WANT TO KNOW WHAT THE FUTURE HAS IN STORE FOR YOU ? VIDEOCON ASTROLOGY SERVICES CAN TELL YOU NOW ! · Talk to an expert astrologer , Dial 55315 at Rs 9/min · To subscribe to an astrology subscription pack , dial 5553150 at RS 30/30 days · For unlimited astrology pack , Dial 553155 at RS 5/day.